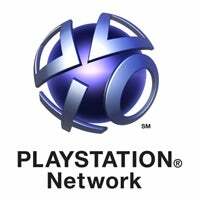 While the PlayStation Network finally seems to be hitting its straps with games like MAG, it's been a long time coming for PS3 owners, who have long seen Xbox 360 owners enjoy an online service the PSN couldn't match. "I think we were late to offer the platform-level support, to make the online functionality work at that level", Sony Computer Entertainment worldwide studios boss Shuhei Yoshida told Edge magazine. "We made the prior decision that you do not introduce the common centralised network names into every experience, so publishers made their own. That was fine at the start, but as more and more games have online functionality you need a unified approach." Konami, he's looking at you. "So Microsoft took that approach in the last generation, and maybe that's where people see the difference when they compare Xbox Live and PSN".